When the Moon Was Ours by Anna-Marie McLemore is another Cybils YA Speculative Fiction finalist. It's an example of intense magical realism. According to my understanding of this sub-genre of fantasy, fantastical elements are brought into a real world setting and everyone simply accepts them. So no one is amazed when the main character in Moon makes her first appearance spilling out of a water tower, or that she has roses growing out of her wrist. What I liked best about this book were a couple of nonmagical elements. One involves Sam, the romantic interest for main character Miel. I can't think of a single thing to say about him without risking a spoiler. So I will say nothing. I will write, instead, about the Bonner sisters. Four beautiful siblings who prey romantically on young men. That's creepy. Yeah, I liked them, too. 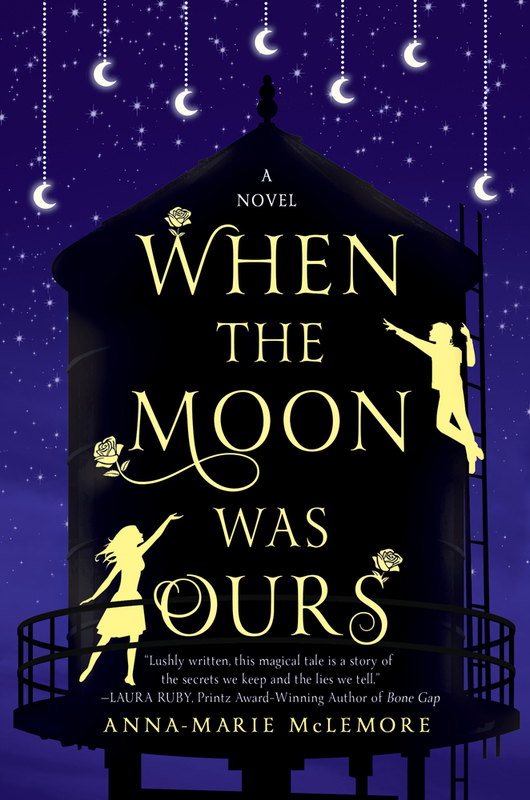 When the Moon Was Ours is elegantly written with lush language that's carried through the whole work. In addition to being a Cybils finalist, it was on the long list for the 2016 National Book Award. It's also a 2017 Honor Book for the ALA's Stonewall Book Award.